I’m behind on A to Z posts, and this one is out of order. It’s also a little longer than I hoped and way personal, but anyway, here it is! I wasn’t going to write about NaNoWriMo (National Novel Writing Month) for N. I’ve written about this writing challenge a lot over the 12 years I’ve participated (10 of which as a Municipal Liaison). But while being behind on the A to Z challenge, and stumped on what to write for N, the perfect topic presented itself. I’m really happy about getting a new machine. But the old one is covered in NaNoWriMo stickers from years past, and I’m kinda going to miss them. I posted a pic on Twitter yesterday, and a couple people pointed out that it looks like an old luggage trunk covered in stickers from all the places it has traveled. 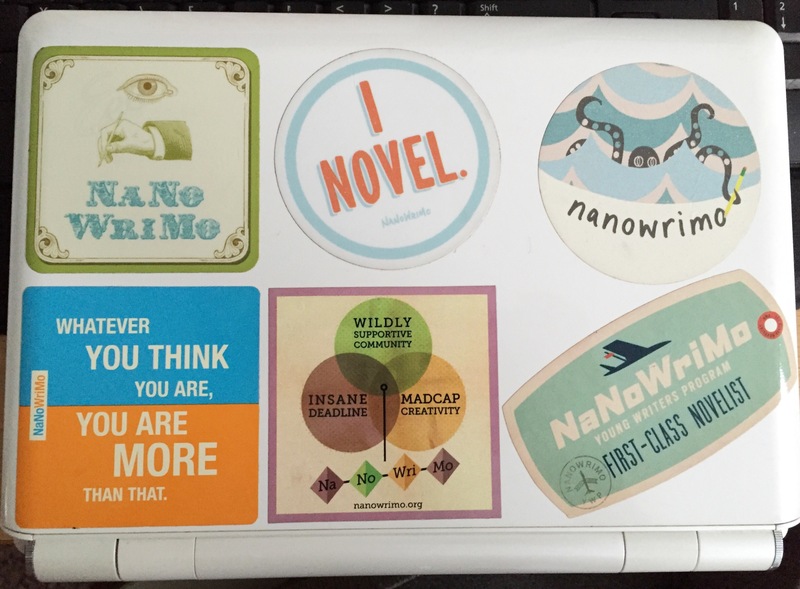 The NaNo stickers on my netbook reveal a piece of my writing journey. The truth is, I think I would have given up on writing a long time ago if it weren’t for NaNoWriMo. I wrote a lot as a teenager, but after I moved out (a month before I turned 19) I fell out of the habit. I got caught up with college, work, and being young in NYC. I stopped writing. I stopped making art. It sucked. When I was 21, I found out about NaNoWriMo via LiveJournal. (Remember that?) Somehow, I worked up the courage to attend the in-person meetups. I was a very different person then. People who know me now would be surprised to hear that I classified myself as shy. Becoming a NaNo ML helped break me out of that shyness, but that’s a story for a different time. The point is, I started writing again. It was so freaking hard. And frustrating. And confronting. But I kept writing. And I met some people that November who have become some of my closest friends in real life. 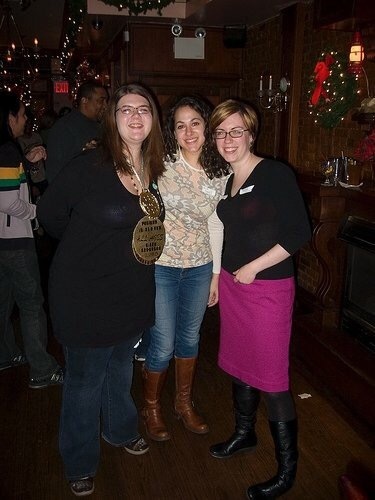 I met my friend Clarice at the TGIO (Thank God It’s Over) party that year. She and I talk every day, we’ve gone on vacation together, and she’s also participating in this blog challenge with me. Then, in 2013, I decided to get serious about this writing thing. I’d always wanted to write and publish novels, ever since I was a teenager writing fanfic on a clipboard on my bed at 3am. It was time to finish something. As much as I’d been writing, I had never finished a story, beginning to end. So in November 2013, I wrote a complete first draft of a historical romance. My first time writing romance or historical, and my first time writing “The End.” (Although I don’t think I actually wrote those words.) That draft was MESSY. But it was done. In one month. When I look back at where I was in November 2013 and where I am now, I’m kind of amazed. I still participate in NaNoWriMo every year, and Camp NaNo twice a year (with varying results). I’m still an ML. 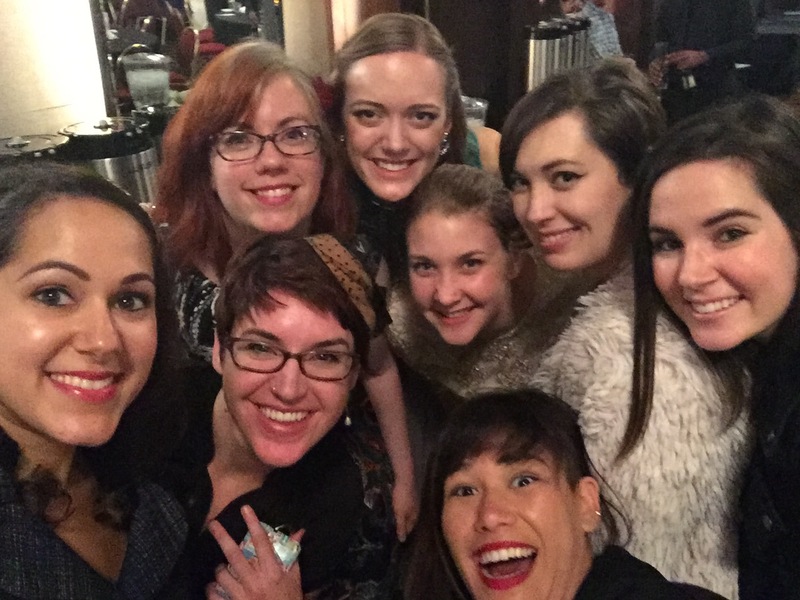 Last year I attended the Night of Writing Dangerously in San Francisco for the first time, and visited the NaNoWriMo office in Berkeley. So it’s kind of ridiculous to think I could blog about writing and not include NaNoWriMo. I don’t know if I’ll put stickers on the new netbook or not, but even if I don’t, NaNo is still a key part of my writing journey, and I’m eternally grateful. 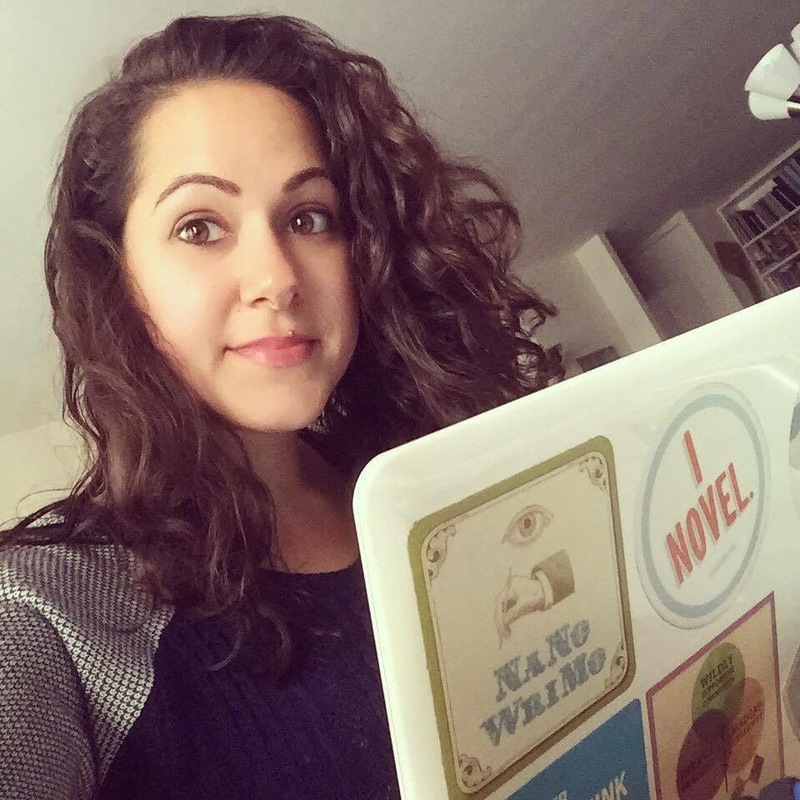 Have you ever done NaNoWriMo? What was your experience? Was there ever a time when you thought about giving up on writing (or did give up)? What brought you back to it? I love your stickers! I have a few NaNo stickers but some of those I haven’t seen before. My tablet is covered in Disney/Harry Potter stickers. My keyboard stopped working(It’s an Asus Transformer) But I wasn’t ready to let go of it after all that customizing! Lol. So I just got an external keyboard for it. I’ve been doing NaNo for many years and it’s been great. I’ve only won one year. The year I was finally out of school(BA&MFA) and had no distractions. I love it. I think I thrive on that pressure. What brings me back to writing is a need to write. If I go too many days without writing I feel anxious, ashamed of myself, jittery like I drank to much coffee! I’m closer than I ever have been to finishing a manuscript and sending it out. NaNo has been a huge help in getting me this far.